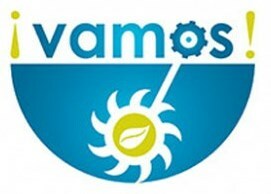 VAMOS: ¡Viable and Alternative Mine Operating System! As part of the Horizon 2020 programme, a new 42 month Research Development Project, has been launched to help provide an opportunity to tap into the wealth of unexploited European mineral resources. The estimated cost of the Project is approximately 12.6 million Euros. The aim of the ¡VAMOS! (Viable Alternative Mine Operating System) project is to design and build a robotic, underwater mining prototype with associated launch and recovery equipment, which will be used to perform field tests at four EU minesites. Three of these are inland inactive submerged mineral deposits and the other is offshore. Building on successful deep-sea excavation techniques, this prototype will provide a safer and cleaner option for extracting currently unreachable and/or uneconomic mineral deposits. ¡VAMOS! will also look to enhance currently available underwater sensing, spatial awareness, navigational and positioning technology, as well as providing an intergrated solution for efficient real-time monitoring of the parameters associated with potential environmental impacts. Under the coordination of BMT Group Ltd and the Technical management of Soil Machine Dynamics Ltd, a consortium of 17 project partners from nine EU countries will collaborate, including: Soil Machine Dynamics Ltd; Damen Shipyards Group; Instituto de Engenharia Sistemas e Computadores; Fugro EMU Limited; Zentrum für Telematik e.V. ; Montanuniversität Leoben; Minerália, Lda; Marine Minerals Ltd; Empresa de Desenvolvimento Mineiro SA; Sandvik Mining and Construction G.m.b.H; Geological survey of Slovenia; La Palma Research Centre for Future Studies; European Federation of Geologists; Trelleborg Ede Bv; Federalni zavod za Geologijo and Fondacija za obnovu I razvoj regije Vareš. 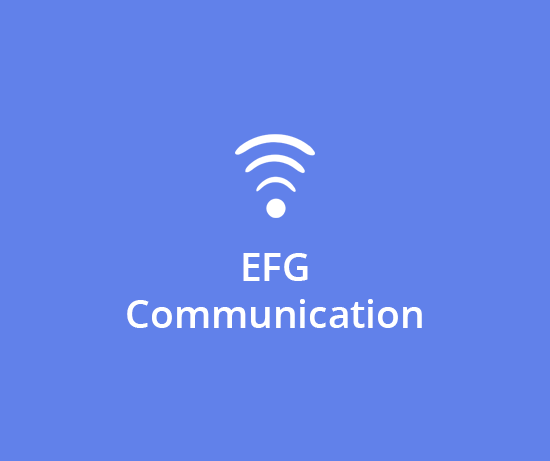 EFG is involved in Innovation Targets and Stakeholder Engagement. EFG will deliver Stakeholder workshops and dissemination activity. This new H2020 project will develop a novel robotic system for the autonomous exploration and mapping of Europe’s flooded underground mines. The Robotic Explorer (UX-1) will use non-invasive methods for autonomous 3D mine mapping for gathering valuable geological and mineralogical information. This will open new exploration scenarios so that strategic decisions on the re-opening of Europe’s abandoned mines could be supported by actualised data that can not be obtained by any other ways. The Multi-robot Platform will represent a new technology line that is made possible by recent developments in autonomy research that allows the development of a completely new class of mine explorer service robots, capable of operating without remote control. Such robots do not exist nowadays; UX-1 will be the first of its kind. Research challenges are related to miniaturisation and adaptation of deep sea robotic technology to this new application environment and to the interpretation of geoscientific data. Work will start with component validation and simulations to understand the behaviour of technology components and instruments to the application environment. This will then be followed by the construction of the first Prototype. Post processing and data analysis tools will be developed in parallel, and pre-operational trials are launched in real life conditions. In the final stage of the project extensive pilots will take place during which UX-1 will be iteratively improved after each trial session, which will be increasingly demanding. The final, most ambitious demonstration will take place in the UK with the resurveying of the entire Ecton mine (UK) that nobody has seen for over 150 years. This final pilot will demonstrate the Platform’s scalability from small missions to the largest ones by increasing the number of deployed autonomous drones, and supporting multi-robot cooperation in confined 3D spaces with real-time sensor and data fusion for reliable navigation and communications. Some of EFG’s national associations participate in this project as linked third parties and support the consortium through data collection for the Inventory of flooded mines. 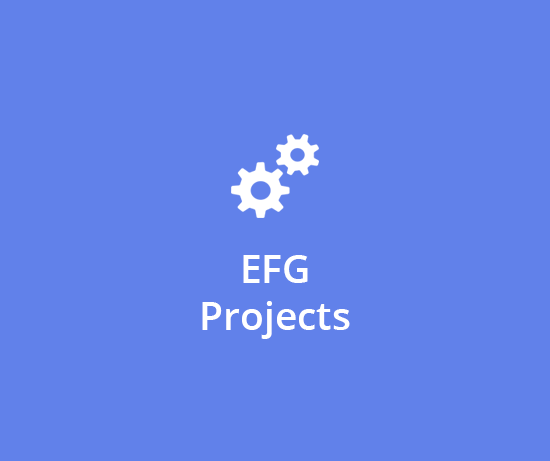 EFG leads the Work Package on dissemination, the EFG Third Parties will disseminate the results of the UNEXMIN project at national level in web portals, newsletters, conferences, workshops, educational activities, exhibitions or any other relevant means. PROJECT NUMBER: 654100 – START DATE: 01.01.2016 – DURATION: 42 MONTHS The CHPM2030 project (project number: 654100) aims to develop a novel, pilot level technology which combines geothermal resource development, minerals extraction and electro-metallurgy in a single interlinked process. In order to improve the economics of geothermal energy production the project will investigate possible technologies of manipulating metal-bearing geological formations with high geothermal potential at a depth of 3-4 km in a way that the co-production of energy and metals will be possible and may be optimised according to the market demands in the future. Led by the University of Miskolc, the project will be implemented in the cooperation of 12 partners from 10 European countries. EFG supports the activities for the CHPM2030 methodology framework definition (WP1), particularly the European data integration and evaluation: EFG’s Linked Third Parties (LTP) will collect publicly available data at national level on deep drilling programmes, geophysical and geochemical explorations and any kind of geo-scientific data related to the potential deep metal enrichments. They will also collect data on the national geothermal potential. Guidelines/templates for data collection will be provided by EFG. During the second year, EFG will support the road mapping and preparation for Pilots (WP6), European Outlook. EFG’s Linked Third Parties will assess the geological data on suitable ore-bearing formations and geothermal projects, which were collected in WP1, in relation with the potential application of the CHPM technology. This work will combine these data with the outcomes of the most recent predictive metallogenic models. Only existing datasets will be utilised, no new surveys will be carried out. EFG also leads the Work Package on dissemination. Exploration discovery of raw material resources requires innovations that either change the geological targets of exploration, the physical places that are reached, or the manner in which they are explored. Despite its rich history of mining and residual mineral wealth, current conditions within the EU present a number of social, political, legislative, cost, technical and physical obstacles to raw material exploration: obstacles to be overcome by innovation, dialogue and reform. 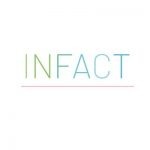 The Innovative, Non-invasive and Fully Acceptable Exploration Technologies (INFACT) project unites stakeholders of Europe’s future raw materials security in its consortium and activities. Via effective engagement of civil society, state, research and industry, the project will focus on each of these obstacles. It will co-develop improved systems and innovative technologies that are more acceptable to society and invigorate and equip the exploration industry, unlocking unrealised potential in new and mature areas. The project will develop innovative geophysical and remote sensing technologies (less-invasive than classical exploration methods) that promise to penetrate new depths, reach new sensitivities and resolve new parameters. Development and test of innovative, non-invasive exploration technologies. Foundation of 3 test sites for exploration technology in the south, centre and north of Europe. EFG leads the work package on dissemination and impact creation and several of the Federation’s National Associations will be actively involved in the project as Linked Third Parties. Access to mineral resources in Europe is one of the pillars of the Raw Materials Initiative (RMI). Yet, competing societal interests, such as expanding cities, infrastructure development, agriculture and nature conservation, have had negative effect on the available area for exploration and mining of mineral resources. Consequently, the supply of mineral raw materials within the EU is at risk. Therefore, the integration of mineral resources policies into land-use planning at different scales and levels is a key factor for achieving the goals of the RMI. The MinLand project is designed for addressing this challenge: to facilitate minerals and land-use policy making and to strengthen a transparent land use practice. MinLand is composed around the acknowledgement that the call requires a broad and competent consortium with strong links to related projects and activities, a comprehensive and structured data repository, an efficient work flow and strong and broad stakeholder involvement. 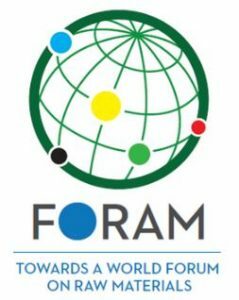 EFG supports the activities for valorisation and valuation of geological and societal data and civil society impacts. And it will also be involved in the network and clustering activities and in the communication, dissemination and exploitation of the project. PROJECT NUMBER: 642047 – START DATE: 01.01.2015 – DURATION: 36 MONTHS Groundwater and hydrogeology-related research activities cover a wide spectrum of research areas at EU and national levels. However, groundwater issues are quite often either ignored or considered only in insufficient detail and separated from the associated surface water bodies, despite groundwater’s critical importance as renewable, high-quality, naturally protected (but still vulnerable) resource that has significant impacts on both surface water bodies and ecosystems. The EU-funded KINDRA project seeks to take stock of our current knowledge of hydrogeology through an inventory of research results, activities, projects and programmes. The European Federation of Geologists (EFG) is the leader on the data collection and processing to carry out EU-wide assessment of existing practical and scientific knowledge (using the developed HRC-SYS) focusing on EU, national, regional, international and EU-third party scientific activities. This assessment will be implemented with the help of the national members of EFG. EFG is also involved in the dissemination activity. Most of EFG’s members are also part of the consortium as third parties. 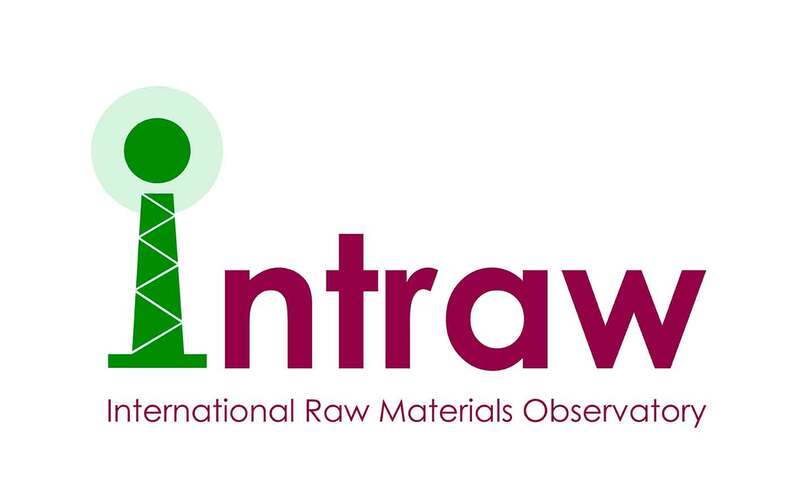 INTRAW is a three-year EU funded project in the framework of the Horizon2020 programme. 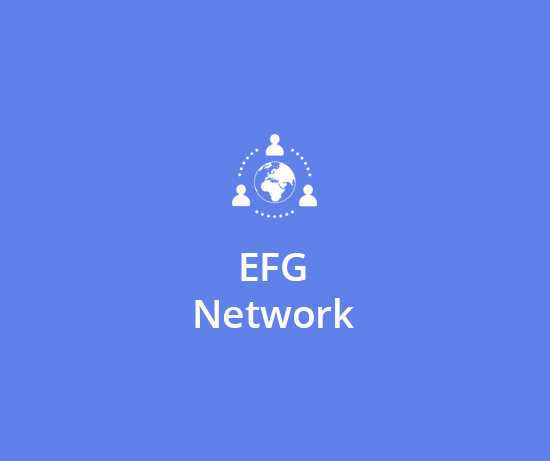 The European Federation of Geologists (EFG) is the coordinator of a consortium of 15 partners from different countries including Australia, United States and South Africa. Most of EFG’s members are also part of the consortium as EFG third parties. Management and substitution of Critical Raw Materials. The outcome of the mapping and knowledge transfer activities will be used as a baseline to set and launch the European Union’s International Observatory for Raw Materials. Primary and secondary raw materials are fundamental to Europe’s economy and growth and play a prominent role as a source of prosperity in Europe. The Mineral Intelligence Capacity Analysis (MICA) project contributes to on-going efforts towards the establishment of such an infrastructure by projects such as ProMine, EURare, Minventory, EuroGeoSource, Minerals4EU, ProSum, I2Mine, INTRAW, MINATURA2020 and others. 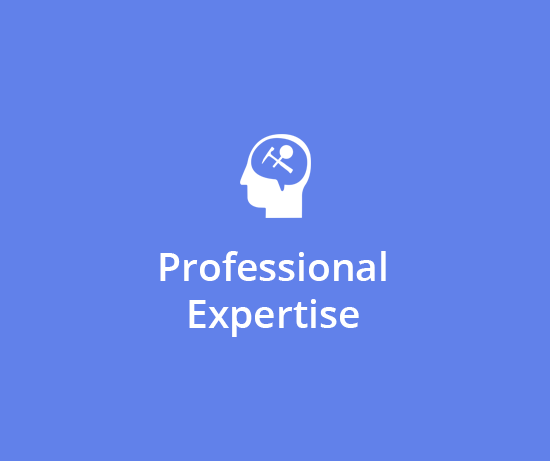 The MICA project brings together a multidisciplinary team of experts from natural and technical sciences, social sciences including political sciences, and information science and technology to ensure that raw material intelligence is collected, collated, stored and made accessible in the most useful way corresponding to stakeholder needs. Furthermore, the MICA project integrates a group of 15 European geological surveys that contribute to the work program as third parties. 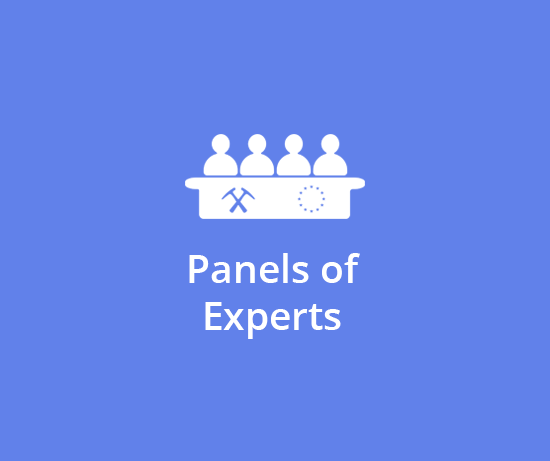 They have specific roles in the fulfilment of tasks and will provide feedback to the project from the diverse range of backgrounds that characterizes the European geoscience community. 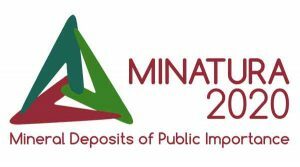 MINATURA2020 was launched in February 2015 as a response to social needs to safeguard mineral deposits of public importance for the future. 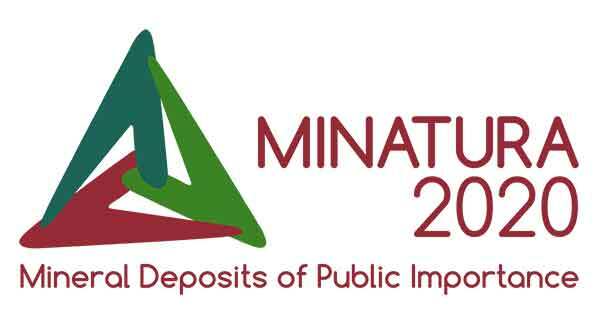 The overall objective of this three-year project is to develop a concept and methodology for the definition and subsequent protection of “Mineral Deposits of Public Importance” (MDoPI) in order to ensure their best use in the future. EFG is involved in the establishment of the Council of Stakeholders and leads the Work Package on Dissemination. Geotrainet: Geo-Education for a sustainable geothermal heating and cooling market. • Deliver training and certification programmes in the field of shallow geothermal energy recognised all over Europe. • Provide benchmark standards for consistent voluntary further education in participating countries. – Supporting improvement of the quality of higher education in geology. – Facilitating mutual recognition by program validation and certification. – Facilitating recognition of accredited degrees in geology higher education in accordance with the EU directives and other agreements. – Supporting academic as well as professional mobility of geology graduates. – Establishing the relationship with the qualification profile required by the EUR-GEOL title. Project partners: ASIIN, agency of academic and professional associations and higher education institutions in Germany (Coordinator project). EFG, European Federation of Geologists. ICOG, Official Spanish Association of Professional geologists. MFT, Hungarian Geological Society; and SN, Swedish. Natural Scientists Association – Geological Section. 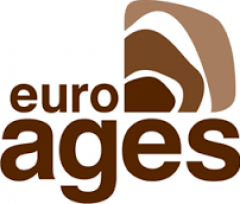 Euro-Ages QUALIFICATION FRAMEWORK AND ACCREDITATION CRITERIA FOR GEOLOGY STUDY-PROGRAMMES IN EUROPE. 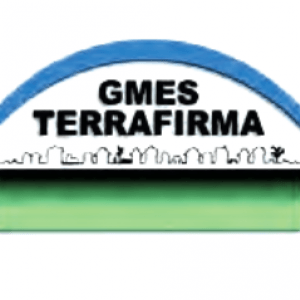 The European Federation of Geologists is currently involved in Terrafirma, one of ten projects being supported by the European Space Agency’s (ESA), Global Monitoring for Environment and Security (GMES) Service Element Programme. Terrafirma aims to provide a Pan-European ground motion information service which provides identification, assessment, understanding and monitoring of ground motions in the thematic areas of Tectonics, Flood and Hydrogeology (including abandoned and inactive mines as well as landslides) This project was essentially completed in February 2013. Since the beginning of 2012, EFG has acted as Chair of the User Executive body (UEB) which has required us to attend all meetings and to continually seek information on exploitation (marketing) activities. As a result of this activity the appreciation of the EFG contribution to the project has risen markedly. Current activity for the UEB is focussed on contributions to the close out report in which we are responsible for drafting a number of sections and, in due course, for review of the whole report. There is a short extension to the project which will take up 2014 in support of the development of the Wide Area Product (WAP) which covers much broader swaths (up to 200 km) of land and thus presents the terrain motion information at something approaching a national scale. EFG’s role continues to be as Chair of the UEB with a requirement to attend workshops through the year to represent the user community. Since February 2011 the European Federation of Geologists has been participating in the 36-month PanGeo project funded within the 7th European Framework Programme.The objective of PanGeo is to enable free and open access to geo-hazard information. This will be achieved by the generation of a validated Geohazard Data Layer supported by a Geohazard Summary for 52 of the largest towns listed in the GMES Land Theme’s Urban Atlas involving all 27 countries of the EU. The key users of PanGeo are: – Local Authority planners and regulators concerned with managing development risk, – National geological surveys and geo-science institutes which are obliged to collect geohazard data for public benefit, – Policy-makers concerned with assessing and comparing European geological risk, much as the Urban Atlas data is used to compare the land cover/use status of European towns. Any user can visit the PanGeo web-portal and see the cities for which attributed geo-hazard data with the Urban Atlas to highlight the polygons influenced is available, and view that information. Any persons who also think that their city should have such a geo-hazard layer compiled should click on the ‘PanGeo my town’ button on the PanGeo web site and submit their request. Products integrate: a) Interpreted InSAR terrain-motion data, b) Geological information, and c) The landcover and land use data contained within the Urban Atlas. The integration and interpretation, together with a validation of key features observed, are being made by the corresponding national Geological Survey for the towns concerned. The 52 towns for processing were chosen from the Urban Atlas list to represent where the information will be of most use and represent 13% of total EU urban population. Terrafirma has shown the potential for the self-sustainability of services providing InSAR-derived terrain-motion data, as 30% of users have gone on to procure further product on a commercial basis. You can download the PanGeo Brochure here.